This week Zoe brought in her duck to show us. The duck sang and moved to the music "singing in the rain" It was very funny. 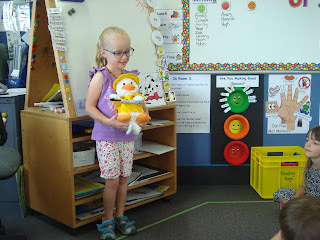 Thanks Zoe for sharing your Mr Duck with us. After this we learnt the "Tofa Tafa" song which was almost the same as "singing in the rain"